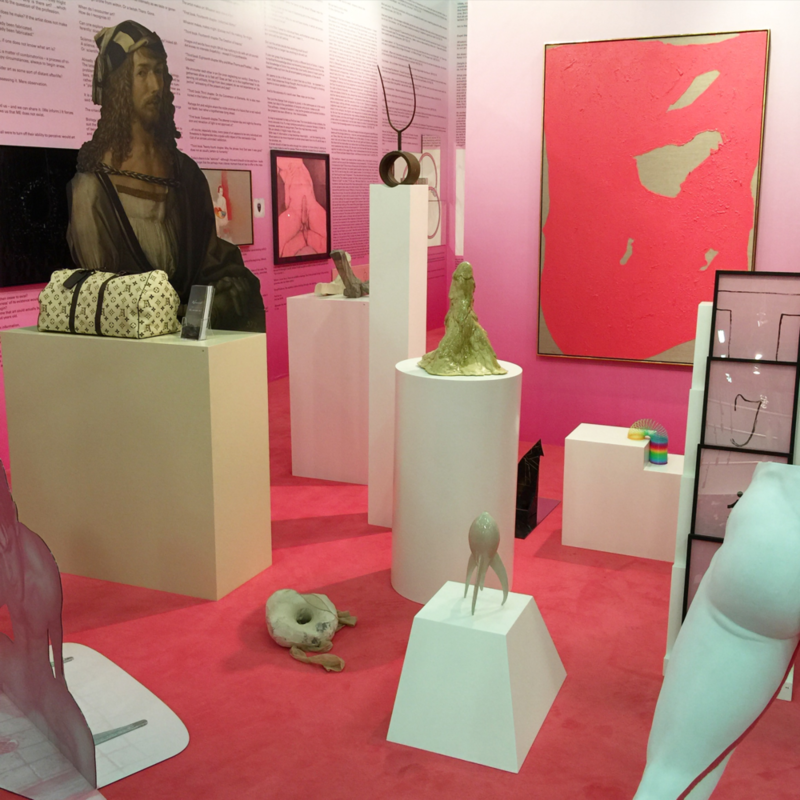 The Armory Show turned 16 this year and the celebrated art fair didn’t disappoint in its 2015 edition. Usually what I find the hardest about choosing highlights, is trying to avoid the repetition of artists that have been shown here –or elsewhere- a million times before. Sometimes that task is inevitable, because some artists simply keep producing better and more engaging work every year and it would be unfair not to mention them just because they get their own share of coverage. Without further ado, these are my highlights and discoveries. 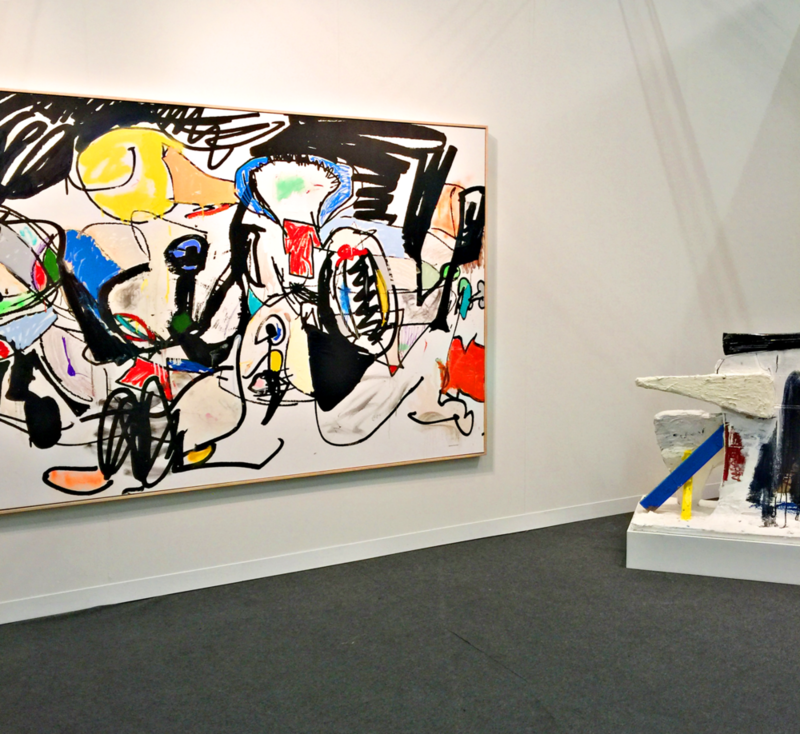 This has got to be the most surprising and engaging booth of this year’s Armory Show (picture above). Particularly when one takes into account the previous booths curated by this German gallery. A combination of mixed media, poetry and the very honest obsessions of Muller made of this corner a winner. The humorous canvases of Greek artist“B”at The Breeder Gallery were most definitely a big discovery in this fair. Colorful figures in the urban landscape of the city of Athens, Mermaids, girls with anchor tattoos on their arms, colorful hamburgers and humanlike octopuses constitute the universe of this talented artist whose color composition and extraordinary level of detail completely won me over. A cross between abstract and figurative, an evocation of primitive art and modernist lines, that’s how compelling these ceramics are. And people certainly noticed as Marianne’s booths seemed to be one of the busiest ones during the opening of the fair and the days beyond. 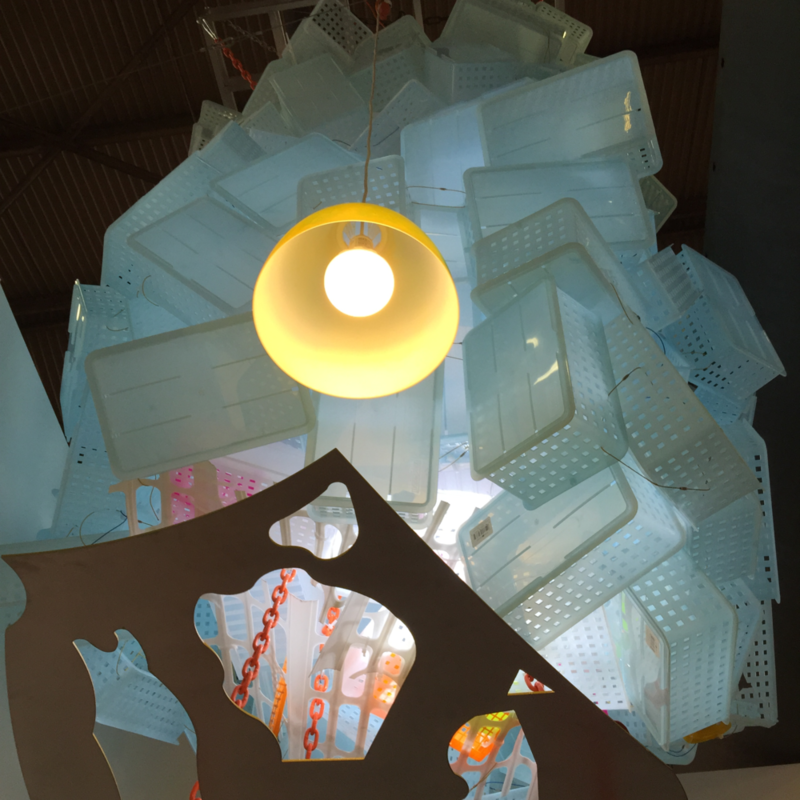 Dozens of plastic baskets, a yellow pendant lamp, chains and other recyclables could have never looked so good if it wasn’t because of Stockholder’s skilled hands and brilliant mind. I have been very enthralled by the work of Aiko since last year when I discovered her. This sofa, whose shape was inspired by the one that Warhol had at The Factory, was a showstopper. Eddie is pure genius and although I used to be much more into his figurative or semi-figurative work, the visceral intensity of his new canvases and sculptures are truly engaging. 12 unique prints in a rainbow of colors taken from variations of light. Perhaps is the simplicity, yet the enormous amount of color and optimism what made me love this installation so much.